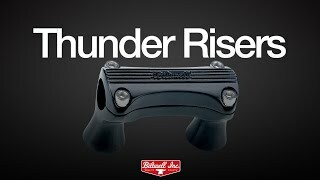 For bike riders who prefer bolder styling, the Biltwell stainless steel Thunder riser is the ticket. The cast top clamp features raised ribs and the Biltwell script logo just like the cast valve covers on your old small block. Risers are on 3-1/2" centers and fit most hydraulic Harley-Davidson front ends. Super heavy duty and built to last. 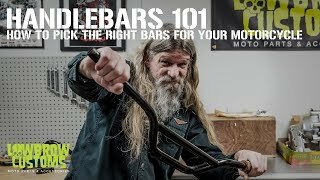 For 1" handlebars only. Black ED. These handlebars accept a 1/2-13 bolts. Won’t shop anywhere else for great parts. I have riser bushings in my current set up that need to be replaced. Would I still need to buy new bushings if I purchased these risers?